Your views matter and we want to know about them. Whether it is a suggestion, compliment or a complaint – we want to hear about it. At Self Help, we aim to make sure that we offer the right service and care to the highest standard. However, we recognise that at times things do go wrong and when they do, we would like you to tell us so that we can do our best to resolve any concerns that you may have. If you are unable to complain yourself, then someone else such as a carer or relative or a close friend can complain for you, but we may need to ask you for permission to share information with them. Within 12 months of realising that you have something to complain about. In certain circumstances we can consider complaints that do not fit into these time scales. If you think that this may apply to you, please contact us to discuss this further. Whenever possible you should tell someone close to the cause of your complaint, such as a member of staff or a volunteer. In many cases, it should be possible to sort out the problem straight away. Normally within 7 days. However, if you are still dissatisfied or do not feel able to approach the staff directly involved in your care. Alternatively, you can also contact us by using the details below where you can be directed to the next level of management. The appropriate manager offers a means of resolving concerns at an early stage. Can I get help with my complaint? You can obtain advice and support from a number of local advocacy support services. Please contact us and we will be happy to provide you with further details. 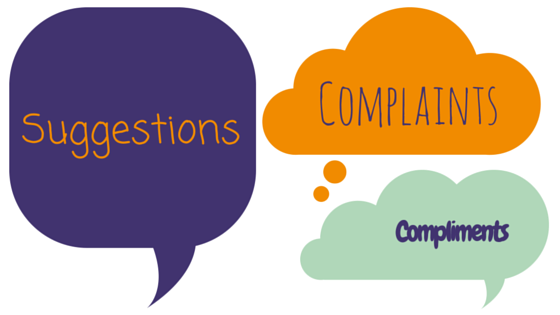 What happens after your complaint is received? After receiving your complaint, we will contact you to discuss how we intend to deal with your concerns, consider what you want to happen as a result of your complaint, agree the best way to do this, and how long this should take. This could involve arranging a meeting with you to discuss your complaint, or arranging for your complaint to be investigated by a senior member of staff. You may also receive a formal response letter to your concerns, signed by the chief executive at the end of the complaint process. Our aim is to provide a full response to you within an agreed time scale. This may vary from complaint to complaint. However, we will keep you informed about the progress of your complaint at all times. If, at the end of the complaint process, you are unhappy with how we dealt with your concerns, or are unhappy with what we have told you, you can take your complaint further. We can provide you with the information about how to do this.